We’re throwing a party for the Rio Grande Valley, and you’re invited! In fact, everybody’s invited to the Party on the Boulevard! We’ll showcase live music on two stages at our all-day celebration, with plenty of room for dancing, and we’ll also have food trucks of all sorts, a biergarten, demonstrations and competitions, so you can recreate and participate! With a hand-picked roster of Artists, vendors, and entertainment, this isn’t your typical expo or market. 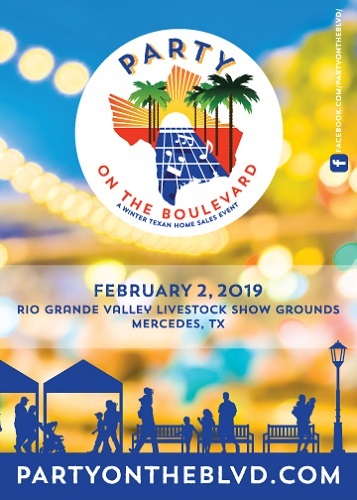 Party on the Boulevard is a true celebration of life in the RGV.